Researchers from Tel Aviv University team up with the IDF and US Army to develop a computer game to prevent PTSD. In their latest efforts to protect their soldiers, the IDF plans to introduce a computerized training program designed to prevent Post-Traumatic Stress Disorder. The research was conducted by the psychology and brain sciences departments of Tel Aviv University, together with the IDF Medical Corps and the IDF’s mental health department, and researchers in the United States. The results were published Tuesday in Psychological Medicine. Researchers claim the training sessions change how the brain processes traumatic events. According to Bar-Haim, the cognitive system in the brain which monitors threats is active in a healthy person. “When we walk down the street, for example, we are always paying some attention to potential threats – threatening faces, sharp movements, vehicles approaching us at high speed. But with people suffering from PTSD, this internal ‘radar’ is disproportionate to actual threats,” he said. Psychologically, a soldier who does not process threats during combat is at greater risk of developing PTSD. Flashbacks, and avoidance of anything that recalls the traumatic experience, happen if a soldier does not process the event in real time, Bar-Haim explains. Training consists of four, 10-minute sessions, over the course of a month. Participants are asked to strike a certain key whenever a certain symbol appears on the computer screen. While this simple task is under way, the subject is also shown various figures on the screen, some threatening and some neutral. These figures may have angry faces, or words might appear such as “wounded” or “explosions,” all of which are associated with PTSD. 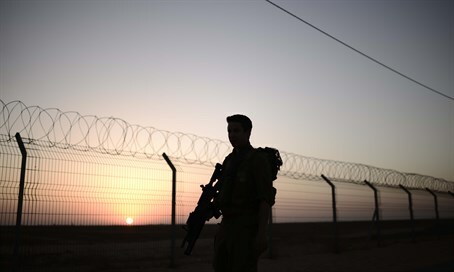 "Increasing soldiers’ mental fortitude and reducing the risk of PTSD places the IDF at the forefront of preventive medicine in the field of mental health, Bar-Haim added. The U.S. Army, which helped fund the research, is testing it among its soldiers.